If you are anything like me and spend a lot of time on the computer it can get pretty boring staring at the same old Desktop all day long, so here are some basic steps to make your computer your own (this is a beginners guide so if you are an expert on Windows 7 this might be a bit too basic for you). 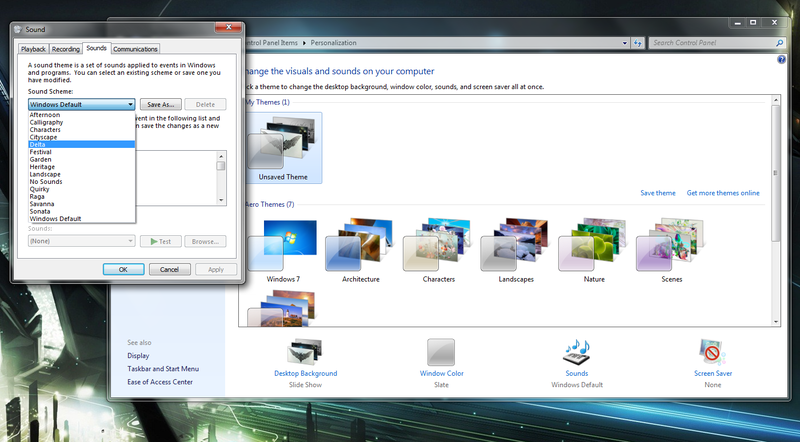 Windows XP and Vista already provided some basic options for customization like letting us change the Desktop background or switching between a few colors for the Windows bar. 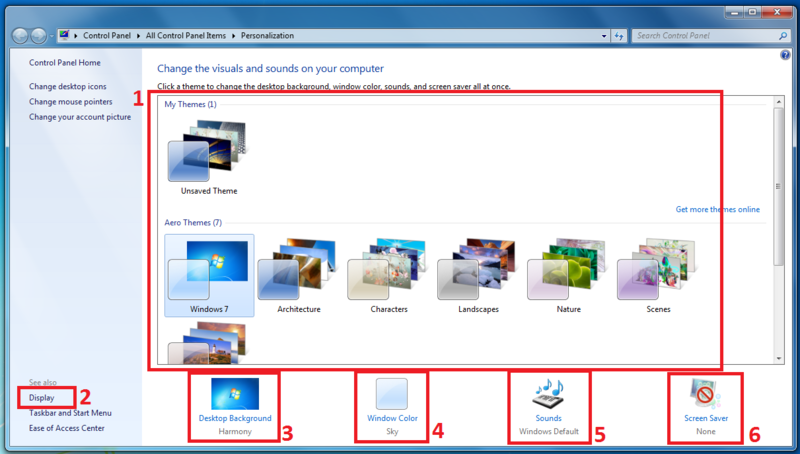 With Windows 7 (except Windows 7 Starter, found mainly on Netbooks, Starter does not provide these options) Microsoft expanded on this a little bit and threw in a few more options which made the setup a bit more elaborate, so here is how you use these new features. The easiest way to get to the Personation screen is to just right click anywhere on empty space on the Desktop, the box shown above will appear, then just click on the last option, Personalize. The Window above should pop up. 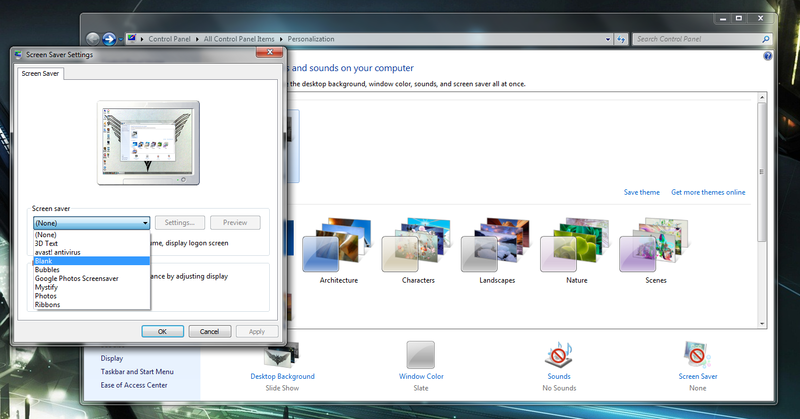 Now this is where Windows 7 is a bit different from Windows XP or Vista. The Aero Themes (1) box provides a few themes that are already preconfigured to show a few options of what is possible, but for this particular exercise we are going to create our own. 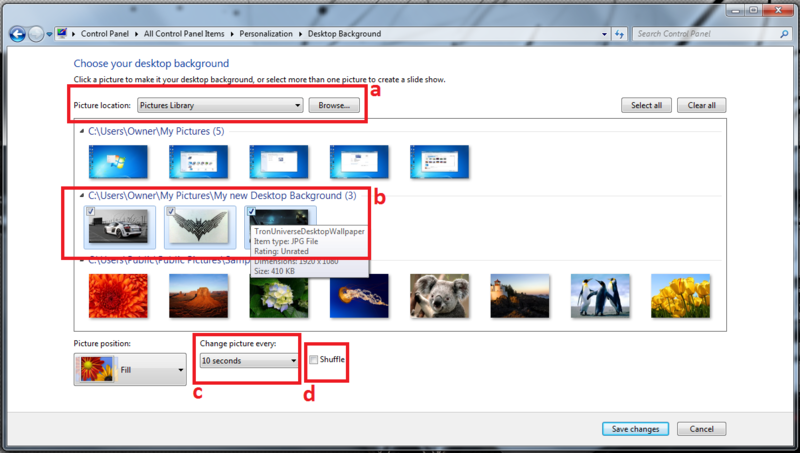 The major difference with Windows 7 is the ability to set a slide show as the Desktop background so that multiple pictures cycle through one after another. The first thing we need is a couple of pictures to set up, which can be any digital image on your computer like vacation pictures or downloaded images. To get the best results I always recommend finding pictures that have the same screen resolution as your monitor to avoid grainy images or black borders on the edge of the screen. How to pick the right size picture? First we need to know what the resolution we are running on the computer, for this we click the Display (2) button in the Personalization Box. The Box above should now be open. Here we can change things like the Screen Orientation, if you want to mount a monitor sideways or upside down for some reason or select which screen should be the main monitor if more then one is hocked up to the machine. 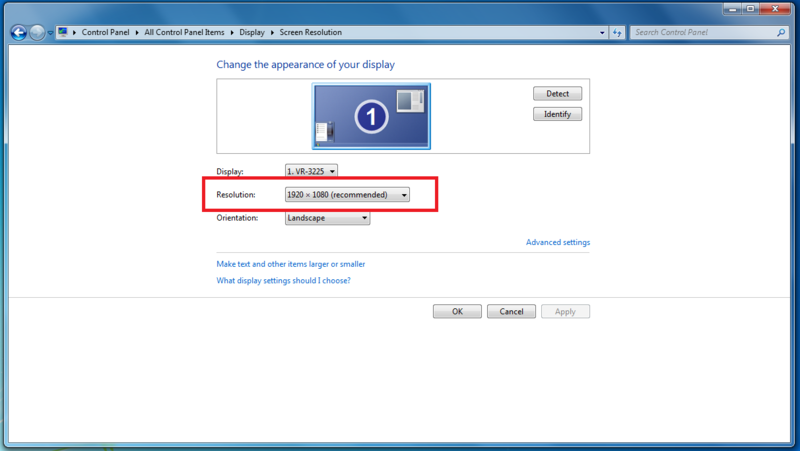 For our exercise however we are more interested in the screen Resolution, which in our case is set to 1920×1080, which is the standard for full High Definition, but depending on the size of your monitor this may be a different number like 1024×768 or 1280×1024. For the best effect we should find pictures that have the same resolution, which can be found on the settings of your digital camera, in the properties of the image or by searching for images that exact same size in Google. Now that we have the pictures it’s time to set them as the background slide show by going back to the Personalize Screen and clicking on Desktop Background (3). 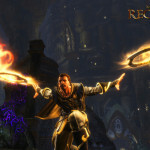 In the new Window check the Picture location (a) field select Pictures Library. Now we can just check mark which pictures we would like to set for our Slide show. As an example I selected the pictures of the Audi, the tribal and the scene from Tron (b). Now on the bottom you have the option to change the time interval you would like the pictures to rotate in (c) and if they should be in order or shuffled (d). After hitting Save changes your slideshow is all set up. How to customize the Windows bar? Back on the Personalization screen, click the Window Color (4) button on the bottom of the page and the window above pops up. 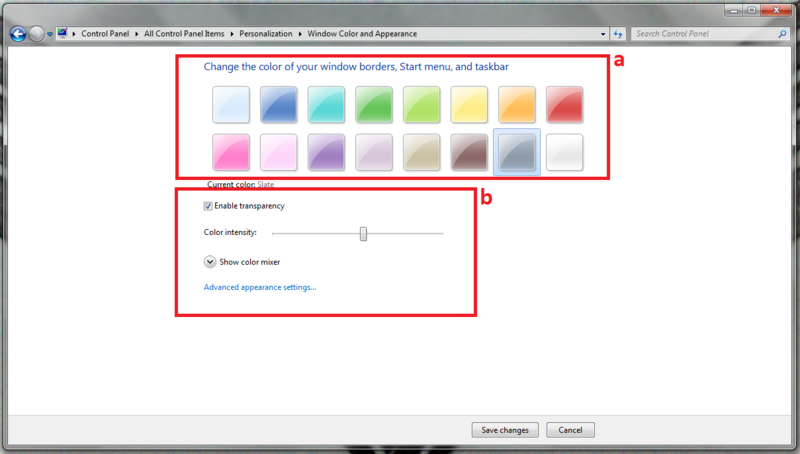 Here you can select a variety of pre-customized colors (a) or you can create your own with the options below (b). Play around with this until you find a color and transparency setting you like. Can I customize the Windows sounds? Yes you can. This option was already available in the previous Windows versions. Here you just have to click the Sounds (5) button on the Personalization screen and the Sound options box appears like in the picture above. A variety of sounds are available so play around with them until you find one set you like. I personally prefer ‘no sound’ over anything else since they can get annoying fairly quickly if you use your computer a lot with speakers turned up. 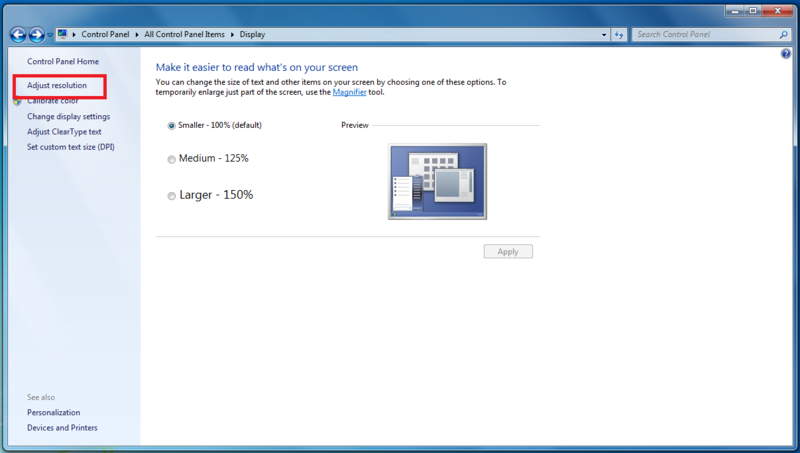 Generally in Windows 7 there is no screen saver selected by default, so lets pic one really fast. Like the sounds options the screen saver hasn’t changed much either with the exception of some newer and a few more options to choose from. 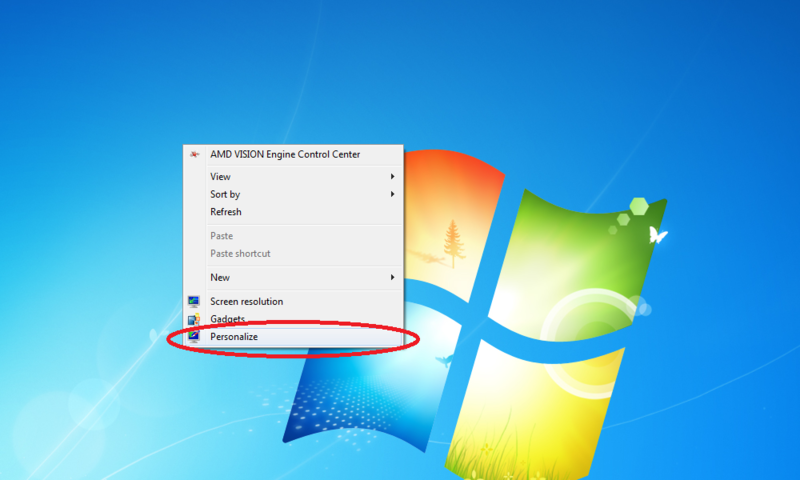 First click on the Screen Saver (6) button in the Personalization box and the Window above will pop up. Now select a screen saver you like and set the time it takes for it to turn on. You can preview your selection as well to see what it would look like on the full screen.